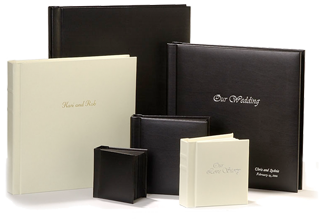 We stock a large range of traditional and modern wedding albums. Why not call in and view some completed albums? We also offer a great selection of Digital Book albums and “Coffee Table” Albums. Prices range from 150 Euro to well over 1,000 Euro with lots in between.